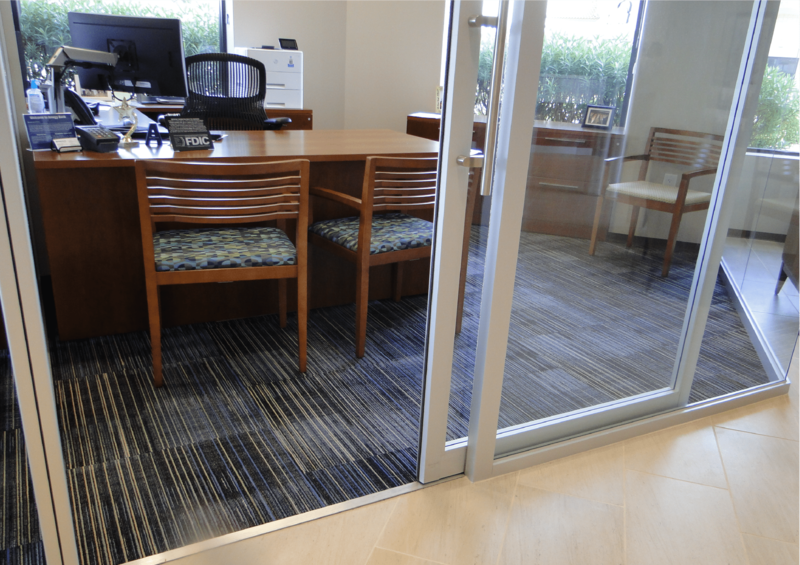 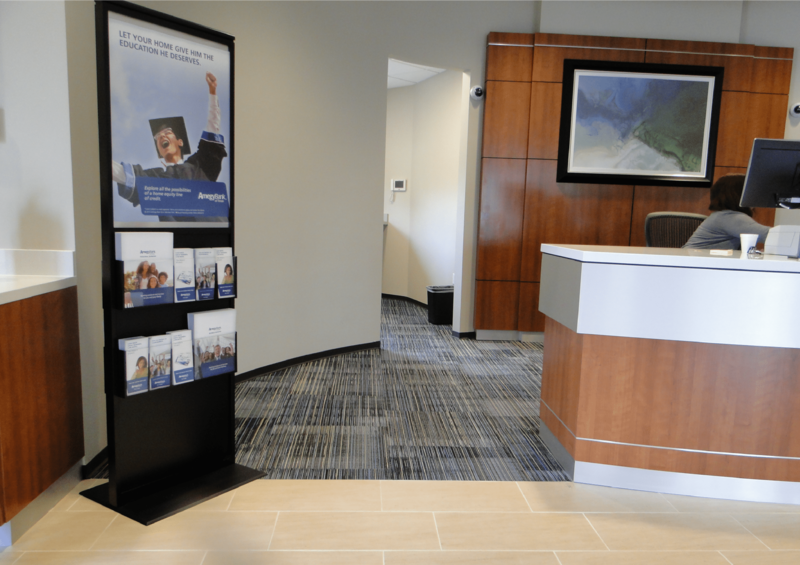 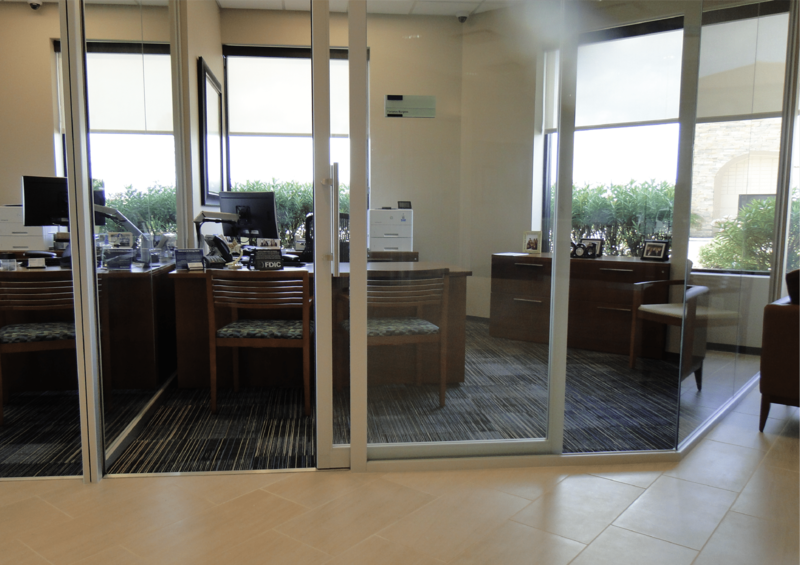 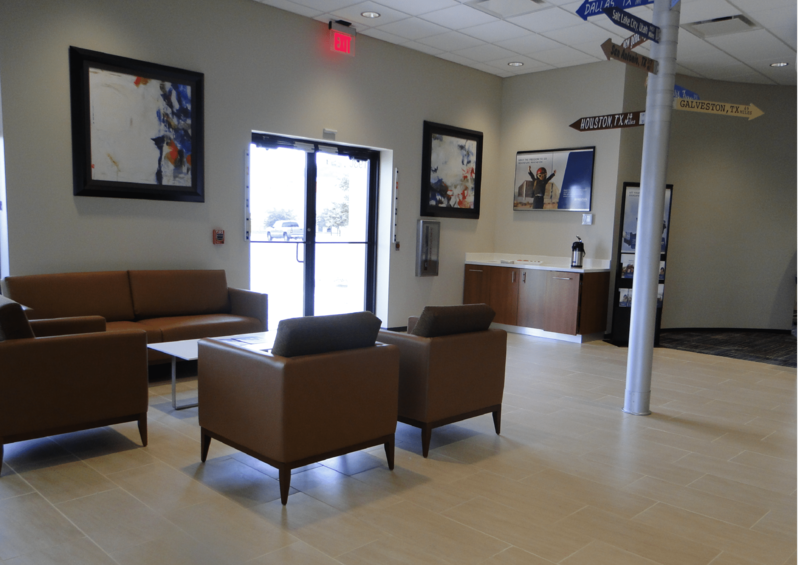 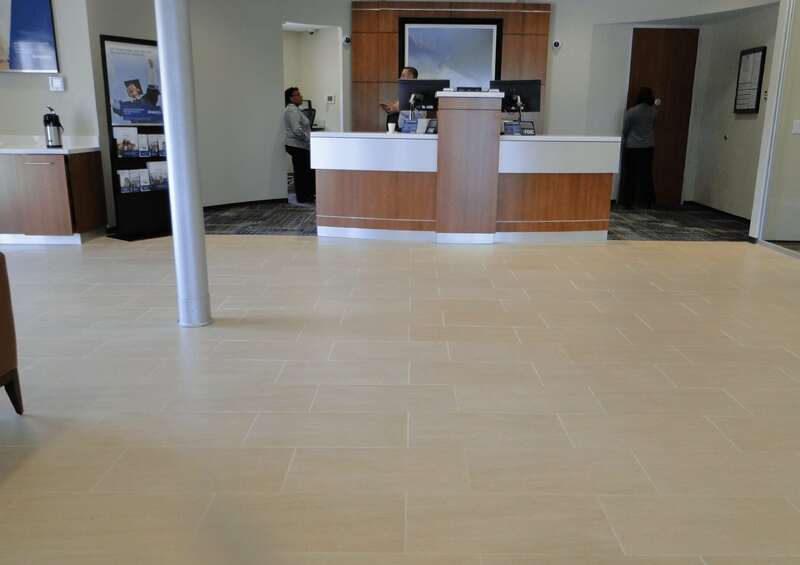 At this Amegy Bank in Pearland, Division 9 was trusted with creating a welcoming and calming environment for its patrons; as well as a modern and sophisticated workspace for its employees. 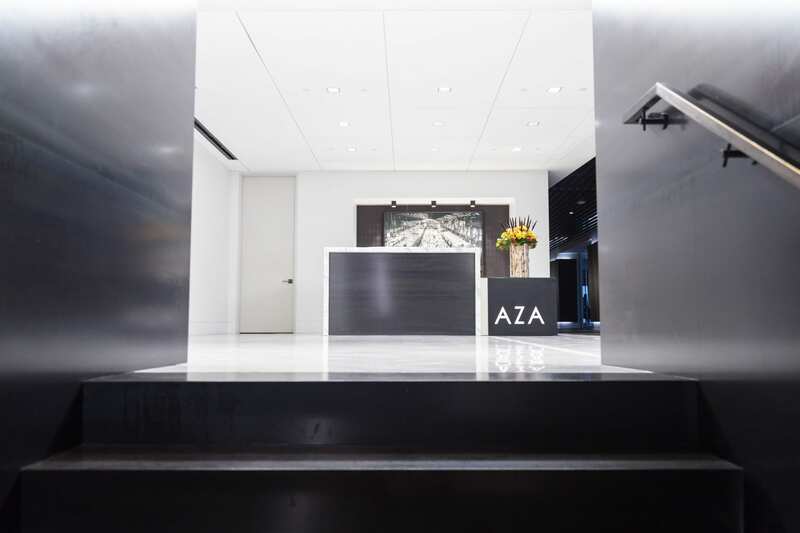 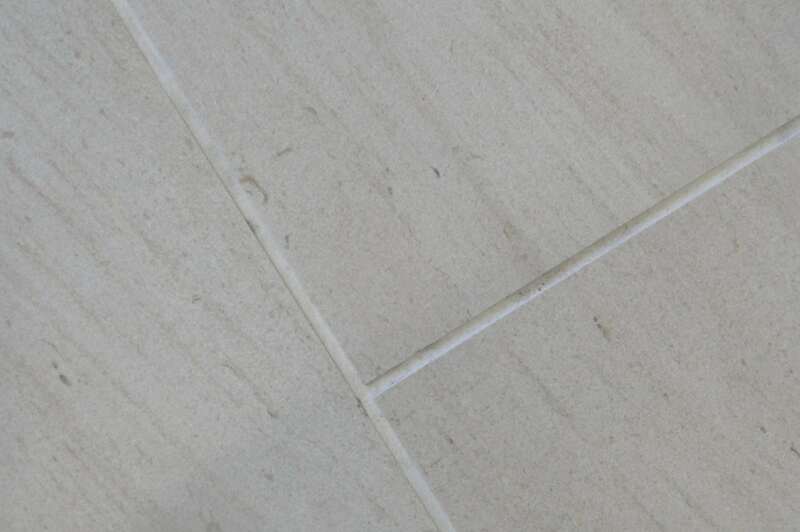 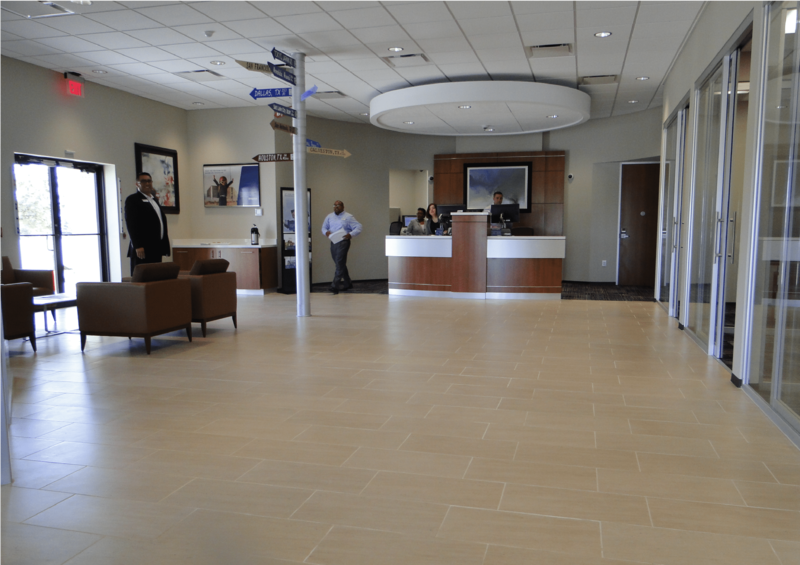 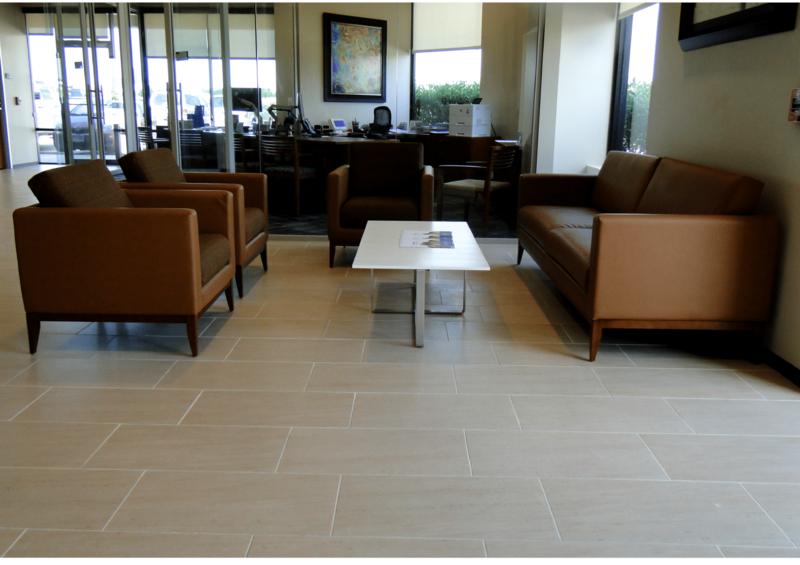 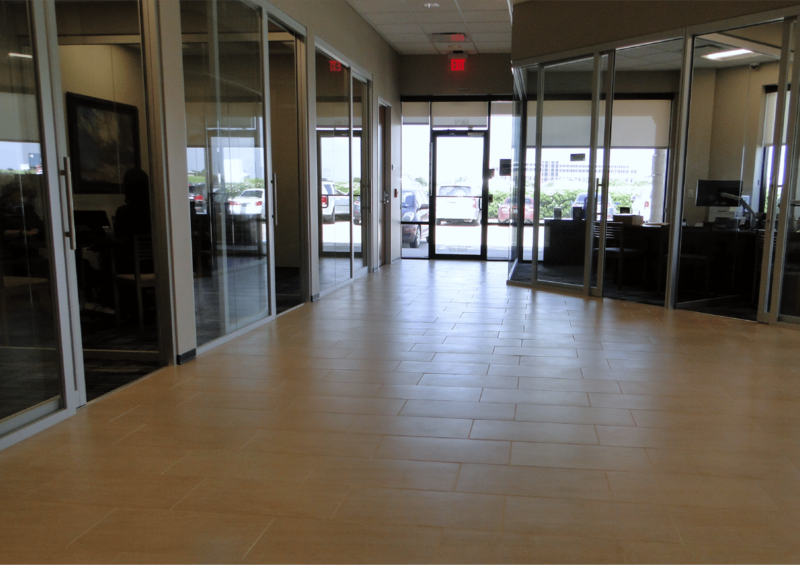 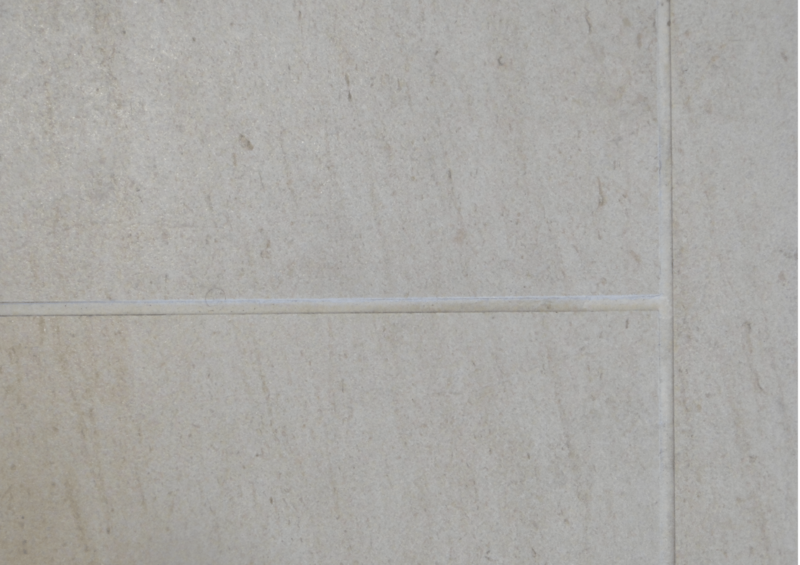 In the main lobby, we installed beige porcelain tile reminiscent of blonde wood grain. 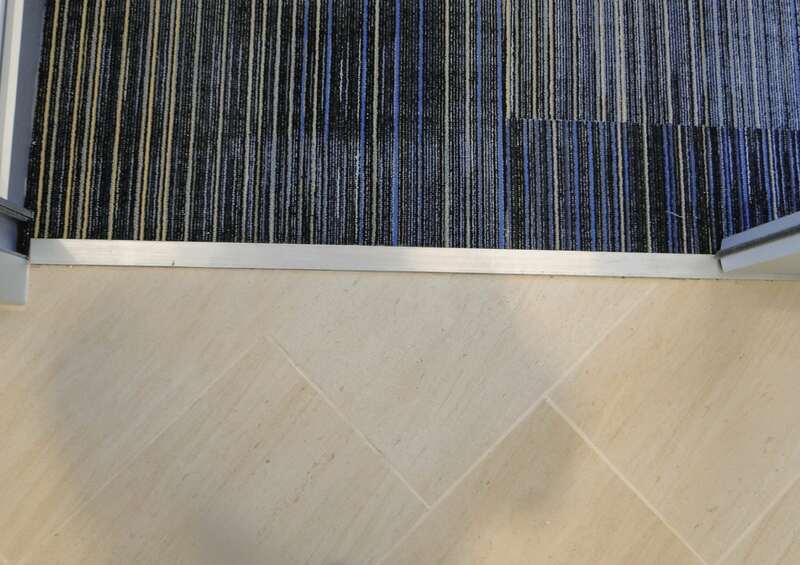 The lobby leads into the offices where we reinforce the notion of a relaxed environment with blue toned carpets tiles that complement the furniture and walls. 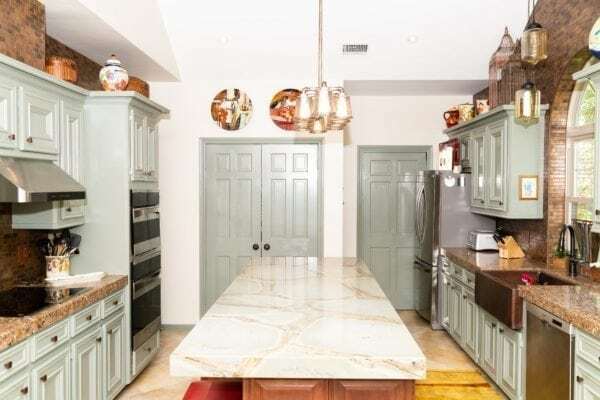 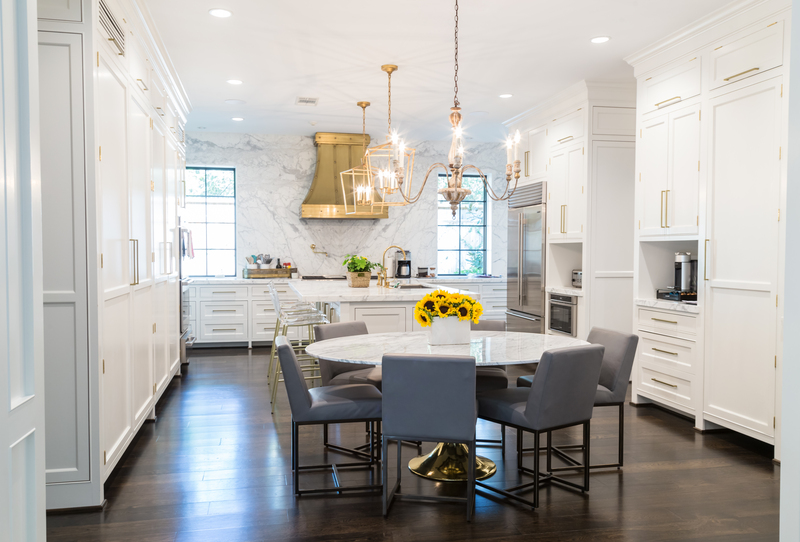 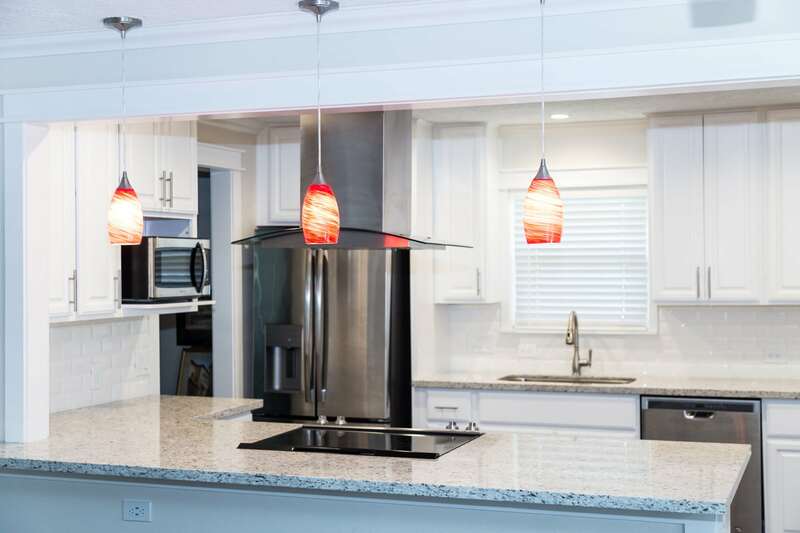 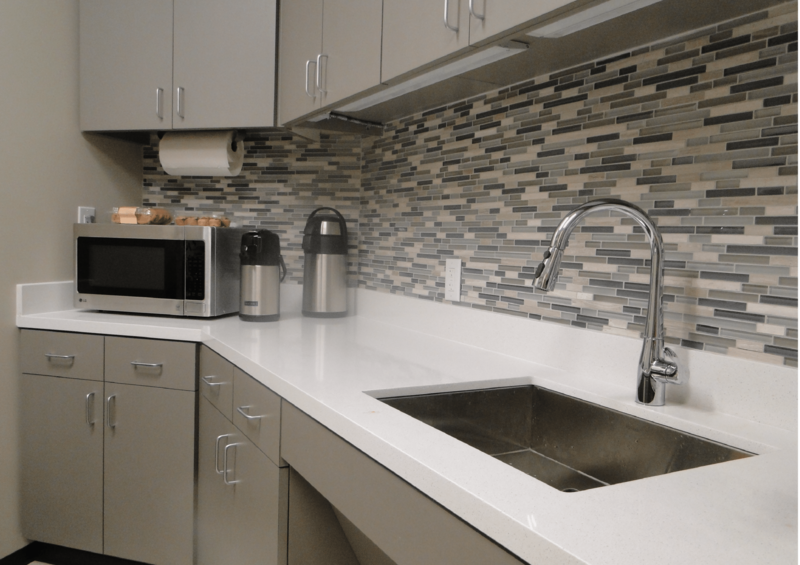 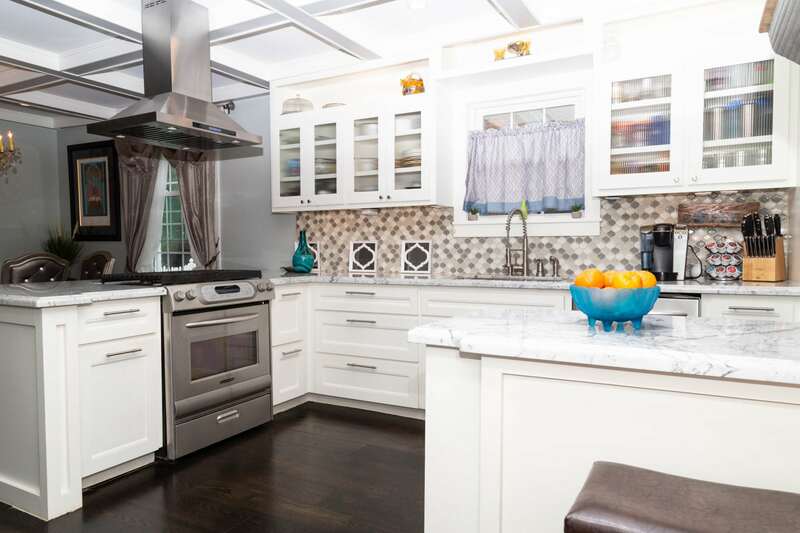 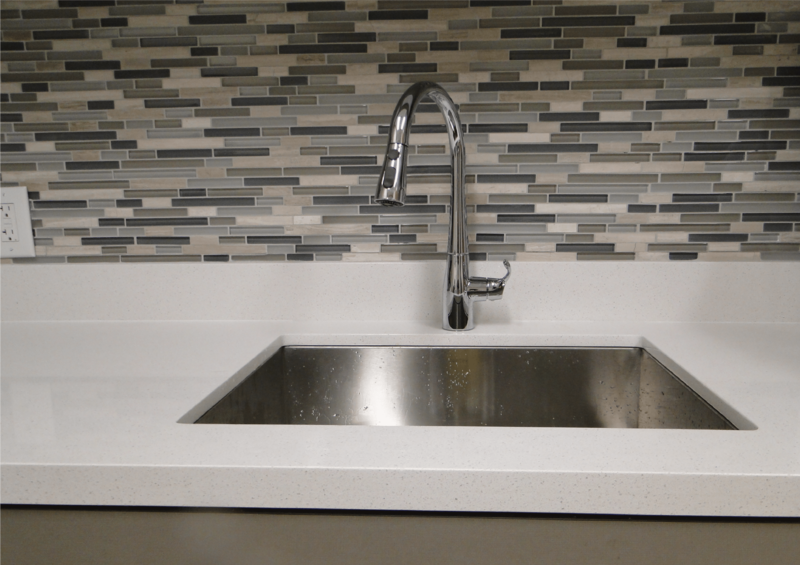 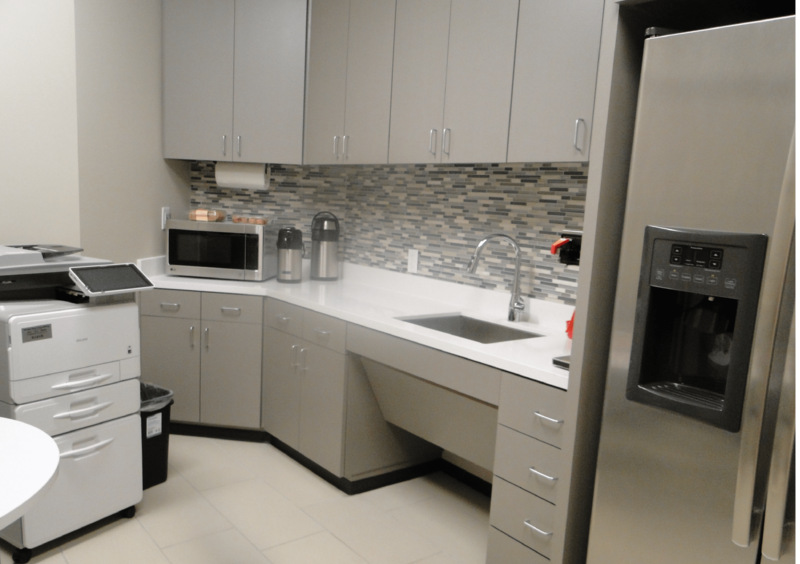 A soft blue-toned mosaic backsplash was installed in the breakroom to add character as well as tie the room together overall. 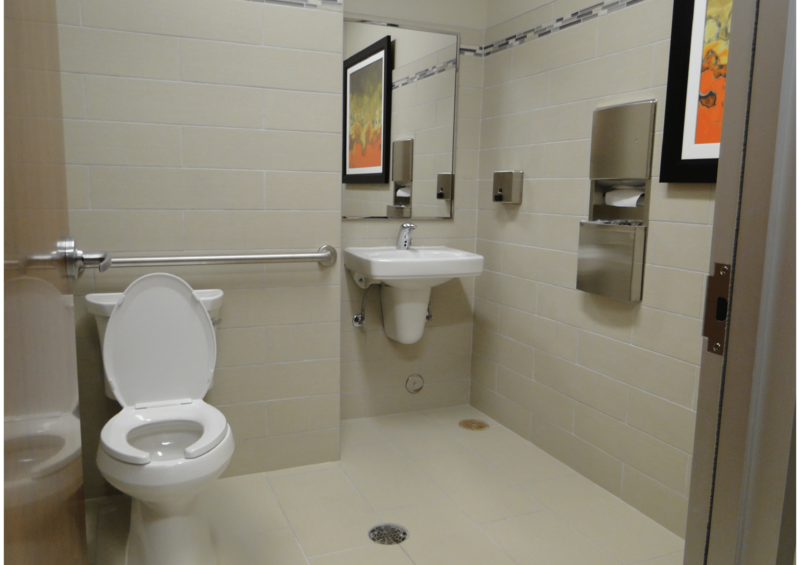 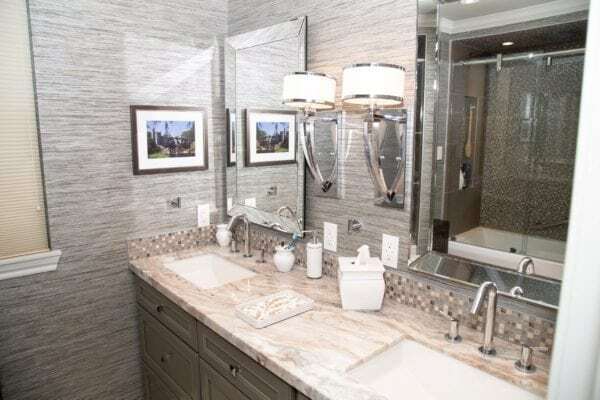 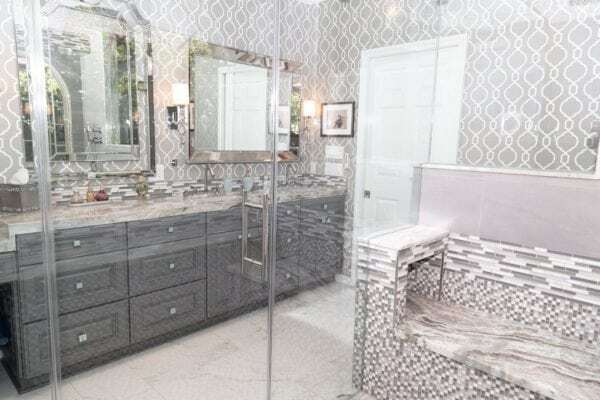 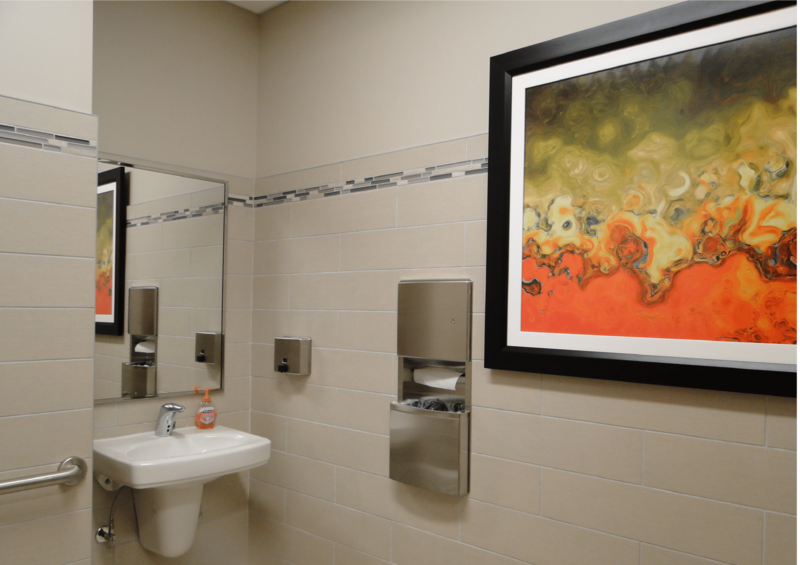 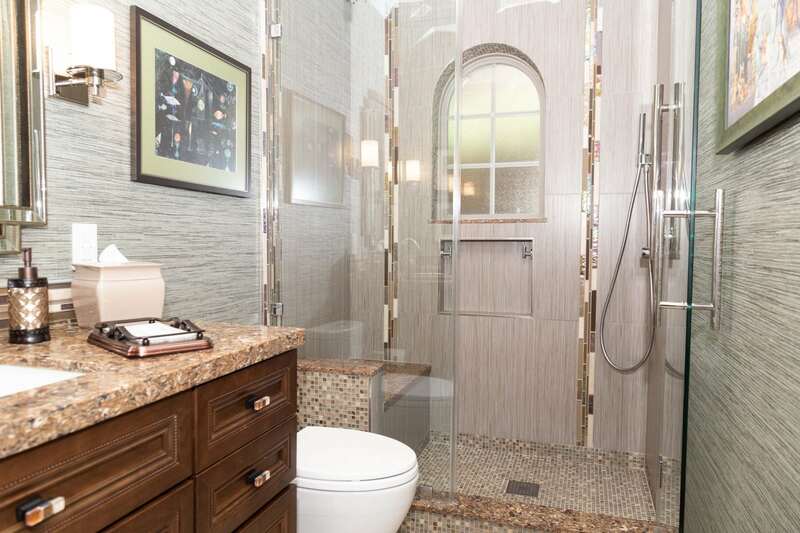 We combined the tile and the mosaic in the bathroom to create a subtle and clean look to conclude the project.